Abdul-Rahman Abdullah, Shan Turner-Carroll, Dale Collier, Karla Dickens, Fernando do Campo, Lindy Lee, Yhonnie Scarce, Jacqui Stockdale. Joseph Lycett (1774-1825) was an English convict artist whose transportation to and period in Newcastle from 1816-1818 resulted in the production of four significant oil paintings depicting the landscape and burgeoning township of Coal River (Newcastle) circa 1818. Three of these paintings are in the Newcastle Art Gallery collection and 2018 marks two hundred years since Lycett created them. The 1818 Project brings together eight contemporary Australian artists to address personal cultural histories and stories of migration and deconstructs colonial painting. Each artist's respective practices draw upon their identity and personal and familial stories of migration, loss and diaspora. Moving beyond an exhibition based on colonial painting, the 1818 Lycett paintings are a springboard for the artists to respond to and create their own narratives. It is an opportunity for artists to explore the hidden or forgotten aspects of what the Lycett paintings represent - forgery, misrepresentation or colonial illusion and propaganda. The exhibition is predicated on three narratives: new works from the artists coupled with works from the artists' archives and selected collections. The Lycett paintings appear in the exhibition not as the focus, but the impetus for the eight artists to respond to the global narratives that the works conceal or reveal. 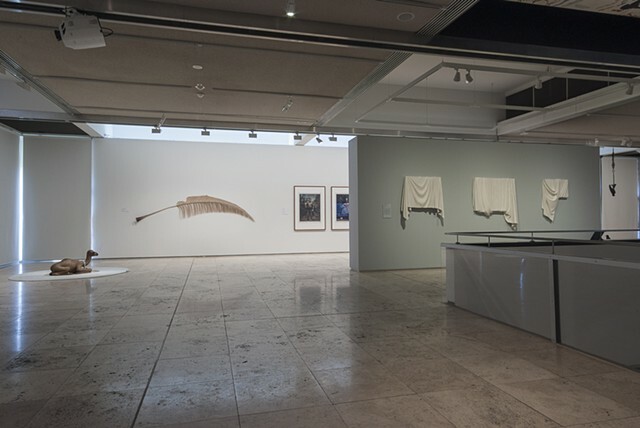 The third aspect of the exhibition includes works from the Newcastle Art Gallery collection that also respond to the exhibition theme. Each artist in The 1818 Project works across an individual platform between the mediums of glass, installation, sculpture, photography, performance, painting and video. Through their unique practices they interrupt the conventions of what colonial art represents in the contemporary world.